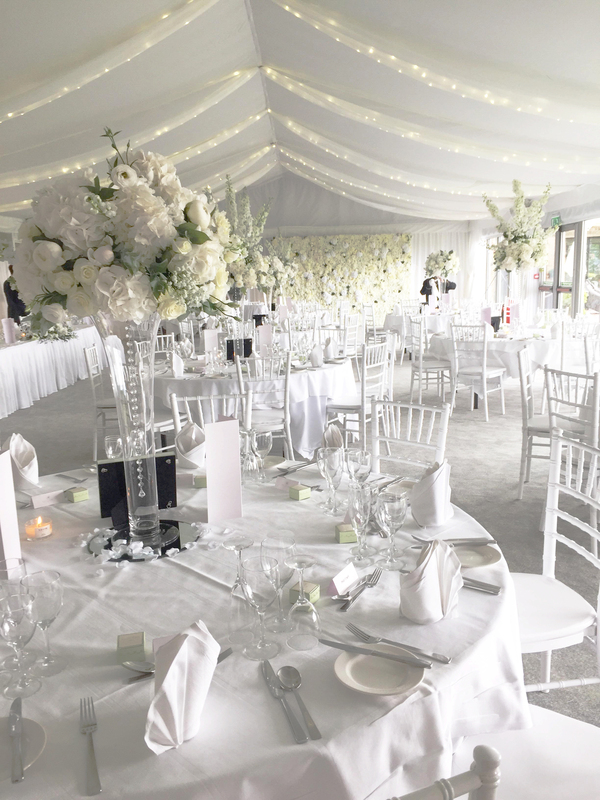 Our Chiavari chair hire service consists of a range of finishes. We provide them across the whole of South Wales. We supply direct to couples, sub-contracted to other suppliers and also direct to wedding venues. Our Chiavari chairs are in great condition as we always look after ours and ensure damaged or dirty seat pads are replaced. 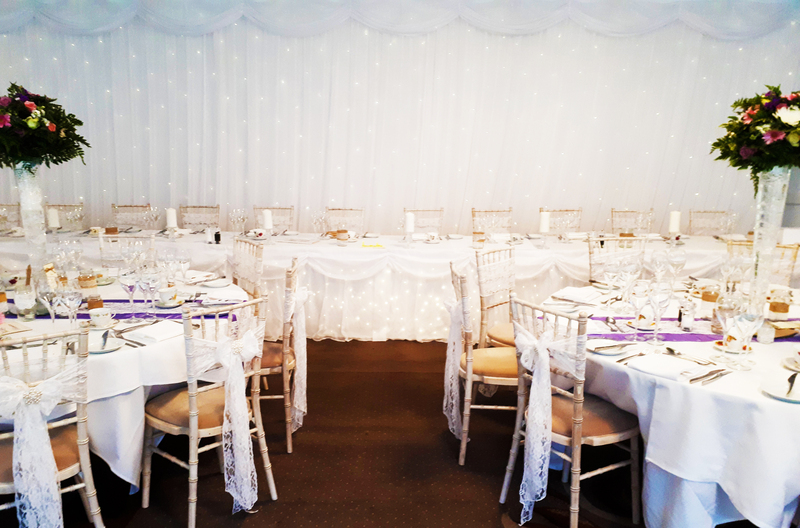 We have limewash Chiavari chairs, white Chiavari chairs and clear crystal ‘ghost’ Chiavari chairs in our current stock. A range of seat pad colours are available to match your event colours. 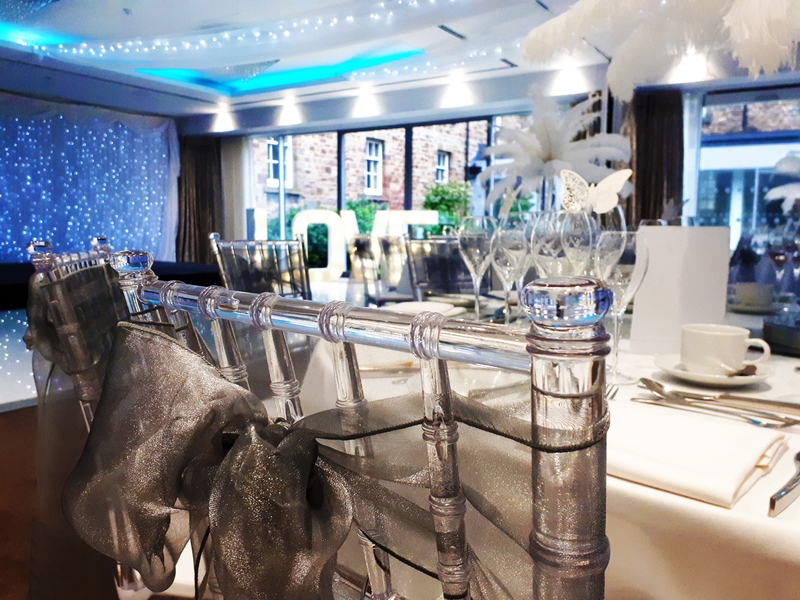 As our limewash chiavari chairs are vintage in style, many of our clients opt to dress the chairs with a lace sash and broach as demonstrated below at a recent wedding we decorated in Hensol Castle. 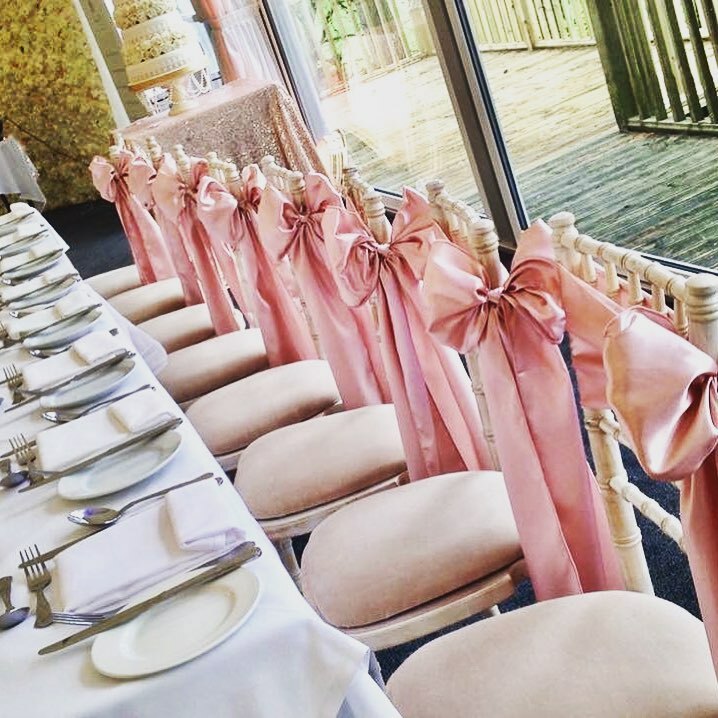 We offer a massive range of style and colour options for dressing our Chiavari Chairs. We believe we have something for everyone. 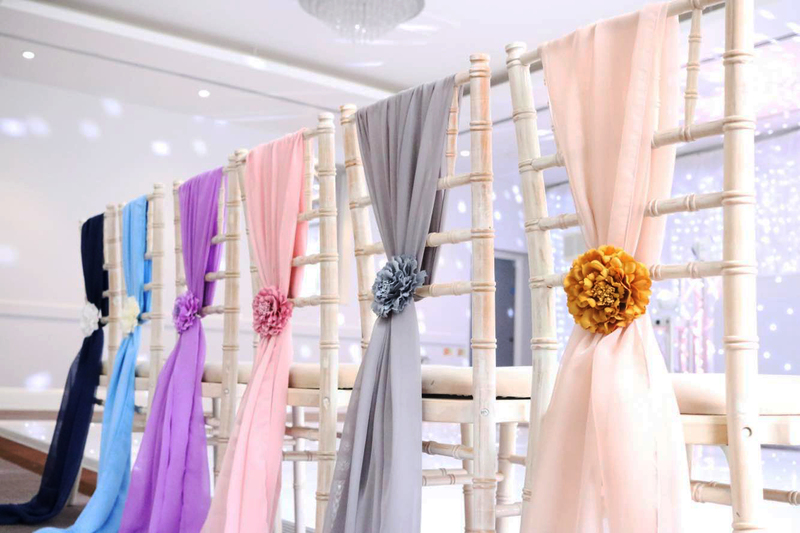 A colour palette demonstration for Grecian Drapes on our limewash Chiavari Chairs. 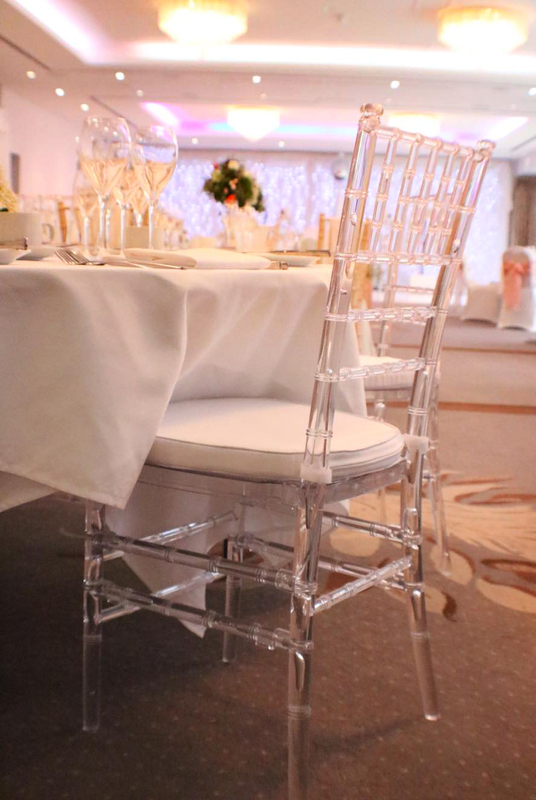 Our Crystal Chiavari Chairs with a silver organza bow. Keep an eye on our daily snaps!